The SMA presence in Ranelagh began in 1999 following the closure of our SMA Houses on Wellington Road and in Maynooth, Co Kildare. During 2014 / 2015 the Ranelagh property was extended and renovated. 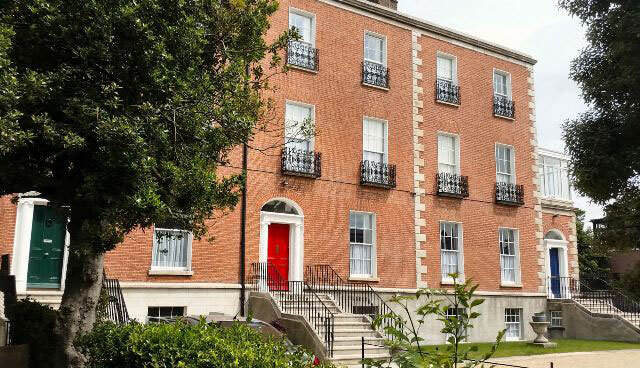 It is an excellent location within walking distance of the city centre and is widely used by SMA’s attending meetings in Dublin or for short visits to the city. It is also used by our priests travelling to / from Africa. Missionary Association Cards – contact Kay Skelly or Helen Doyle. FVC – helps with the education of SMA seminarians for missionary priesthood – contact Fr Tom Curran and Fr John Bowe. Mission Boxes – provide funds for our Missions – Pat Curran and Gene Henry assist in collecting the boxes in the Dublin and Leinster area. Outreach / Pastoral services – our six SMA priests in Ranelagh help out in parishes and religious institutions, particularly for the celebration of Mass. There is a medium-sized room available for various meetings – with our supporters and partners in mission. It is also available for other groups who might want to meet in this central location in Dublin. 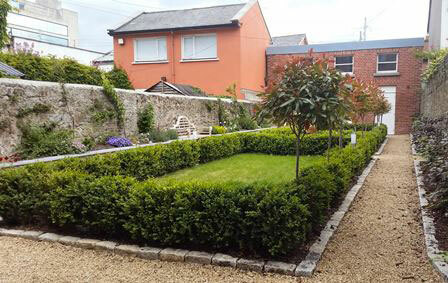 The back garden provides an oasis of peace and quiet, especially on warm summer evenings. Four other SMA priests reside in Ranelagh, involved in fund-raising, teaching and pastoral services.